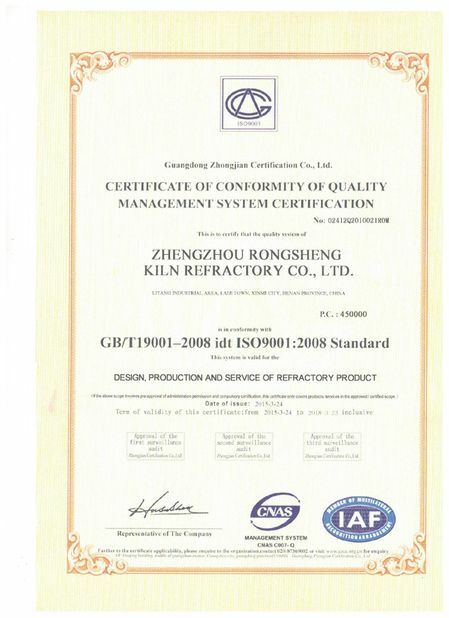 This product belongs to new chrome-free basic refractories for large rotary kilns developed by our company. 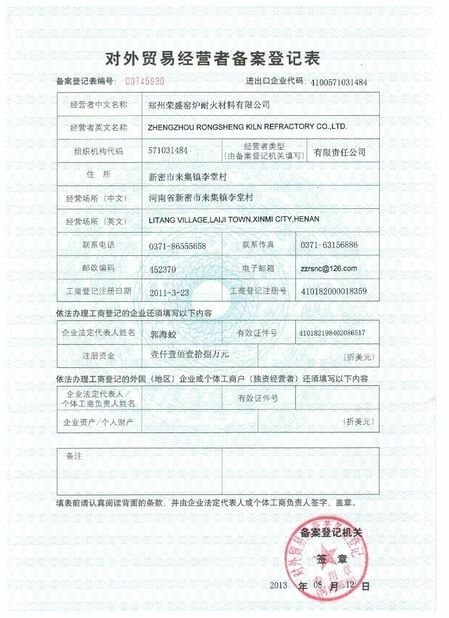 It is produced with high quality synthetic spinel materials and special technical process. The product is characterized by high crushing strength, good thermal shock resistance, good thermal creep, high refractoriness under load, also has the characteristics of direct bonded magnesia-chrome brick (easily adhering the furnace crust), and has solved the problem of environment pollution of sexavalent chrome forming during the use magnesia-chrome brick in cement kiln. 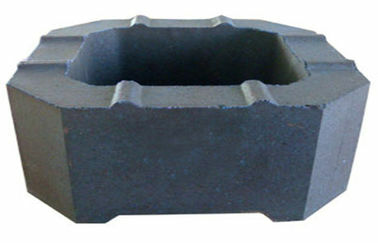 The development and application of Rongshrng company’s pleonaste brick conform to the trend of magnesite-chrome brick withdrawing from the historical stage in the cement industry, meet the demand of chrome-free basic refractories in cement industry under the new environmental-friendly situation.